The crystallization relations of the usual rock-making pyroxenes have been the subject of numerous discussions for many decades. 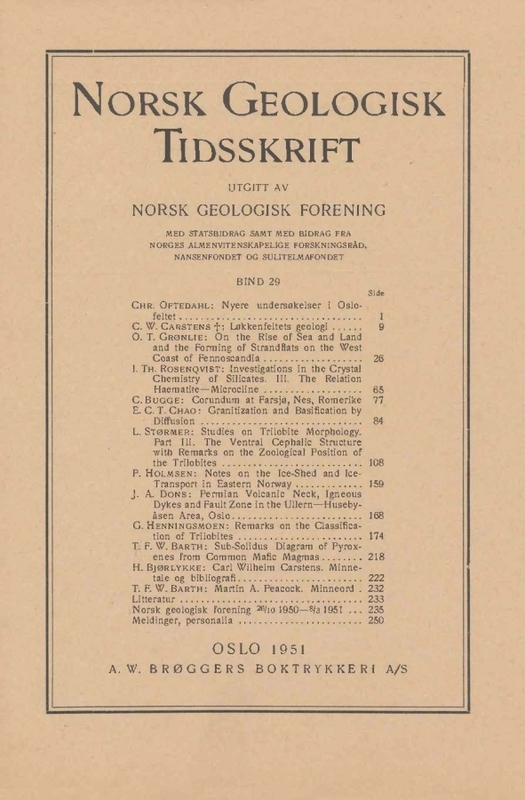 The known facts, from natural rocks and synthetic melts, have been summarized and systematicaliy discussed by Hess (1941). In the present paper the principal features of the sub-solidus relations will be described, but a detailed examination is impossible from lack of factual knowledge.